Dr. Michael West was once known as a world-renowned forensic odontologist. His robust resume overflowed with case credentials from the FBI and Scotland Yard. Police and prosecutors from across this nation purchased his expert witness services, earning him accolades in newspapers, forensic journals, and other major media outlets. He was a crime fighter extraordinaire appearing in Newsweek magazine. Dr. West’s trained expertise is in forensic odontology, a specialty of the forensic sciences. He made his name analyzing bitemarks on skin. Dr. West’s career terminally imploded after authorities examined DNA left at the crime scenes that did not belong to either convicted men. 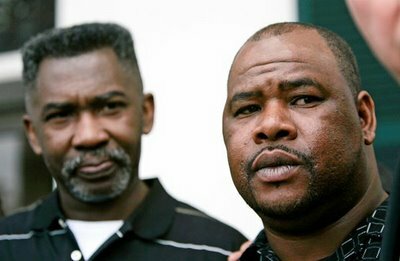 Instead, the DNA implicated one man from both crime scenes that had been free while the innocent men both served 15 years in prison. The American Board of Forensic Odontology reports this case on their blog. What you don’t see on the ABFO blog is the many other additional exonerations of innocent men wrongfully convicted by ABFO certified dentists through bitemark evidence. Perhaps the ABFO only publishes Dr. West’s case is that he resigned his certification and is no longer a member.